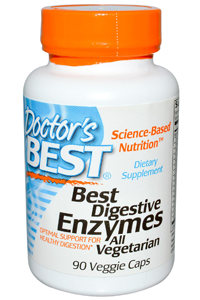 Doctor's Best Digestive Enzymes is a high potency supplement containing a uniquely formulated blend of digestive enzymes. Each capsule contains enzymes for the digestion of fats, proteins and carbohydrates found in cooked and raw food. Also included in the formula are alpha-galactosidase and beta-glucanase to break down vegetables, beans and grains and glucoamylase and invertase for sugars. 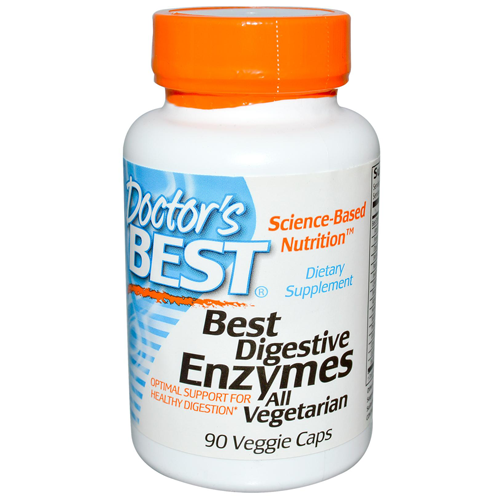 The addition of friendly bacteria rounds out this dietary supplement. Adult Use: Take 1 capsule with each meal.